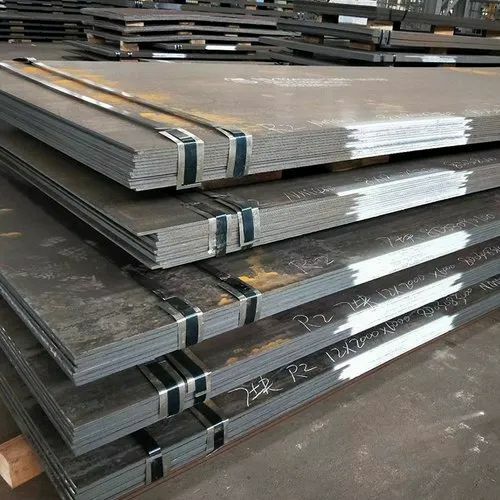 We are a leading Exporter of carbon steel plates from Mumbai, India. Our Carbon Steel Plates are widely used in a range of applications like structural and mechanical & general engineering purposes. They are designed to withstand tremendous amount of weights and pressure. Our plates, sheets and coils are testimonials of our quality standards. The standard sizes range from 0.5 mm To 200 mm thick in 1000 mm TO 2500 mm width & 2500 mm to 12500 mm Length. Types: Sheet, Plates, Coils, Flat, Strips, Profile, Blank ,Circle, Ring etc. Looking for “Carbon Steel Plates”?